With another round of snow expected this weekend and temperatures in the twenties it is no time to paddle. It is a good time to reflect. 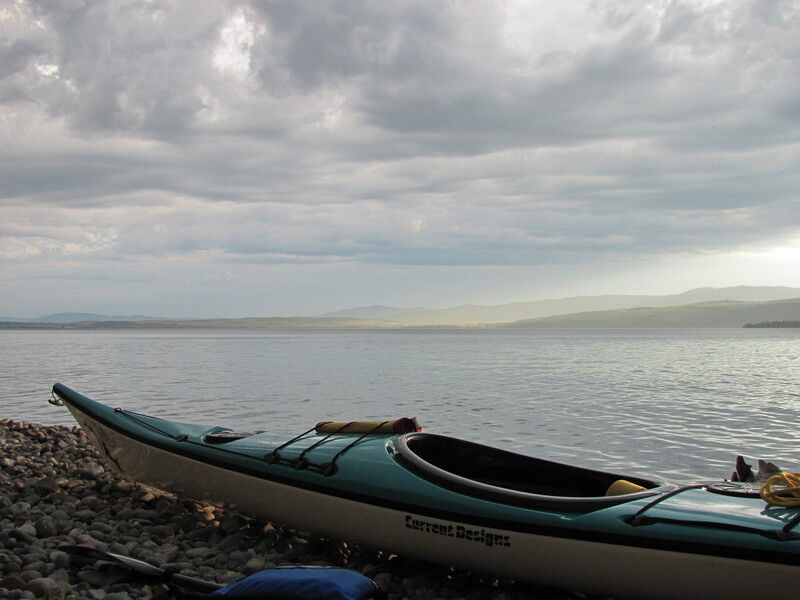 In the interior space of winter I ponder my motivations for paddling Bluebird on Flathead Lake. Over the years I have certainly gone to the lake to test myself, to lay out a course and press through whatever conditions I find to cover the distance, set off for a bay or island, even spend myself in an effort to reach a destination in the fewest possible hours. I have gone to the lake to introduce the experience to friends, taking as much delight in their encounter with the lake as when a companion catches a fine fish upstream of where I cast. I have gone to the lake when I have grown tired of the focused work of preparing for class or reading student essays. I have gone to the lake to be broken open by the distances, snow-covered ridge lines, the effect of moon and starlight on the dark field of night. I have often gone to the lake to bathe in the colors, passing in and out of variations on green and blue. Especially in springtime I love to go to the lake to brush by the flight of geese, to pass under their wing beats and imagine their migrations. Though I paddle for all these reasons it is also true that I have gone to the lake to work through loss. Sometimes I relate to the world physically in search of a different state of mind. I grew up sailing with my father. We spent many hours learning the idiosyncrasies of a heavy wooden but beautiful Swedish sloop. We raced and we dawdled, sanded, varnished and scrubbed. We poked around in a little sabot or entered it in short races launched from a beach; for some unknown reason it seemed to win every race we entered. We came home smelling of salt. 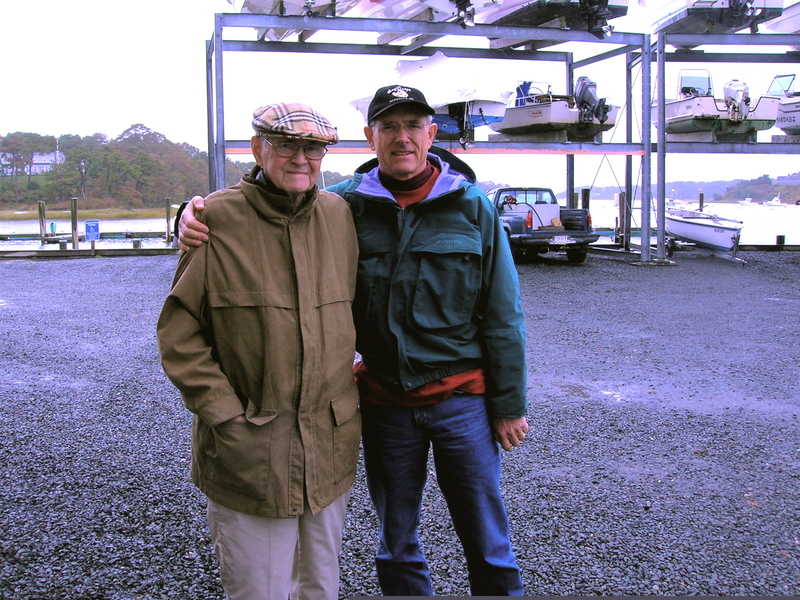 When he died the remnants of his life helped me realize that boats had been a central part of his identity, one of the many ways he brought joy into his life. In his absence I took up the paddle, partly as a way of honoring this part of our life together. Looking back on the last several years I see that I occasionally sought out the lake to paddle through grief at losing a man I loved. This must be one of the reasons that I only mildly complain about a headwind. It gives me an opportunity to work through the resistance we feel at having to accept a loss. As each wave slides down the length of the hull I have an opportunity to let go of things I have lost. Endless strokes become practice in making contact, laying hold, and letting go, in admitting something into awareness and allowing it to slip by. In trying to describe the experience of grief, and remembering Europe’s mountain tunnels, Rilke uses the image of drilling through stone. The work of grief can be this hard, whether we have lost a father or friend, a spouse, child, or position we thought we deserved to receive or retain. If I blend the images, I realize that I have often drilled through waves and wind, through fatigue and fear in the hope of arriving at a distant shore, not necessarily the shore of an island but the shore of a lighter state of being. I have pressed through the weight of water and let it pass in order to stand more available to the present and less anchored to the past. This is one of the reasons I carry Bluebird down to the margins of water and stone.